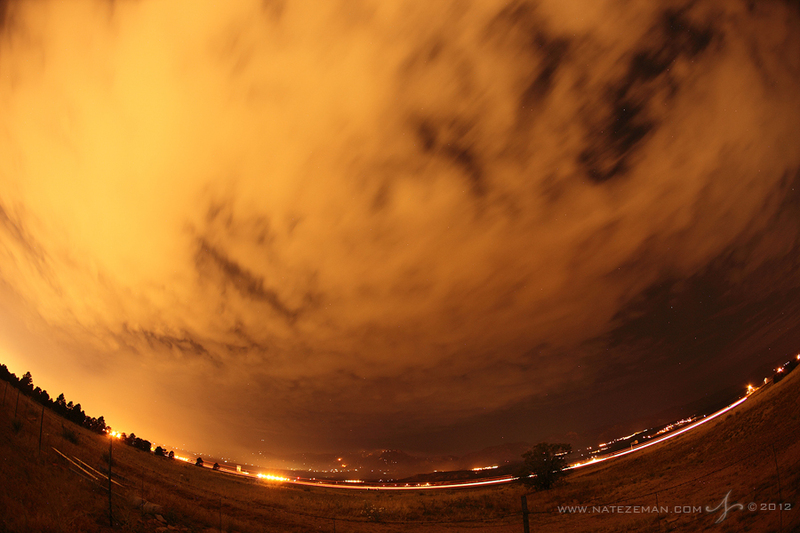 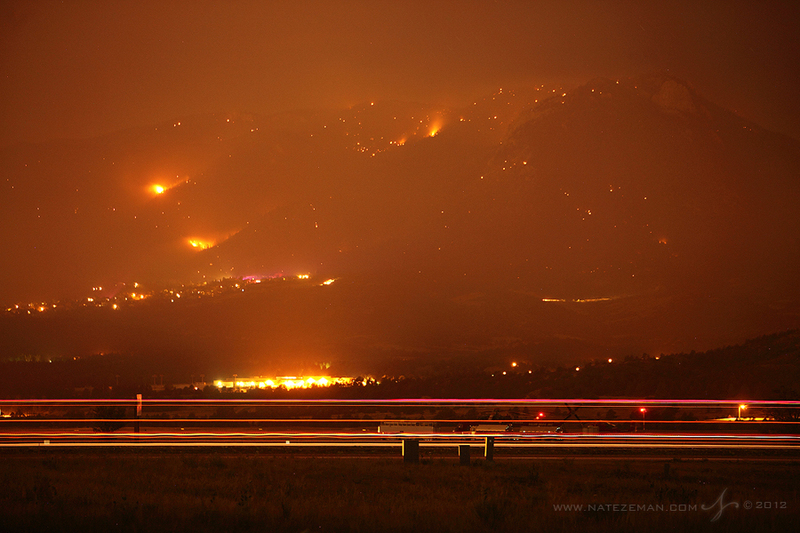 Lights from cars streak by on I-25 in Colorado Springs, while the Waldo Canyon Wildfire burns out of control in the mountains above. 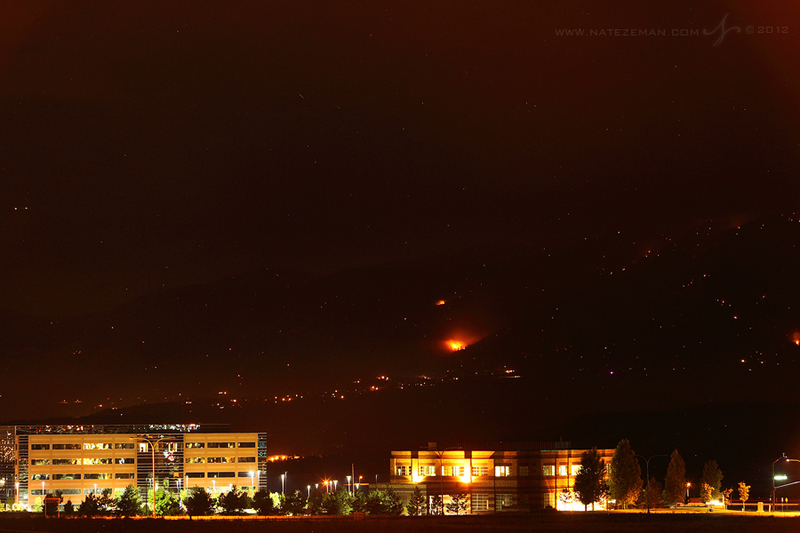 Entire neighborhoods have already been destroyed by this fire. 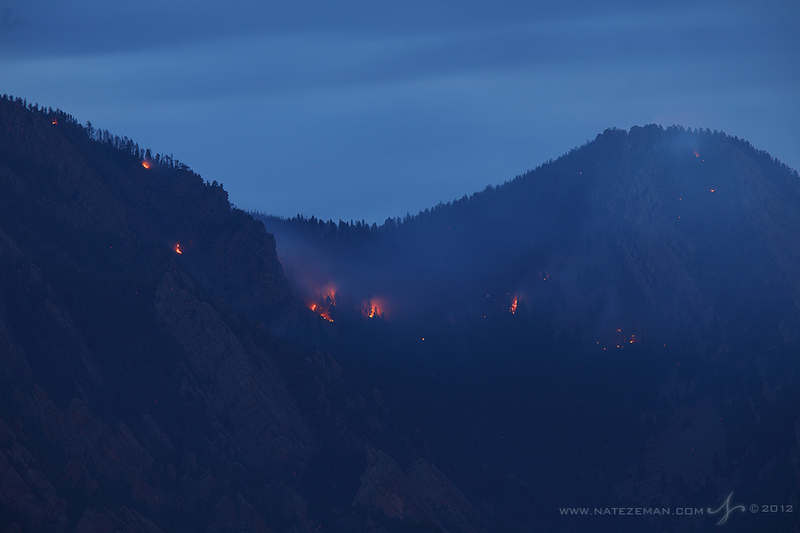 High winds, high temperatures and an unusually dry winter and spring season have made for perfect conditions for these fires to ignite. 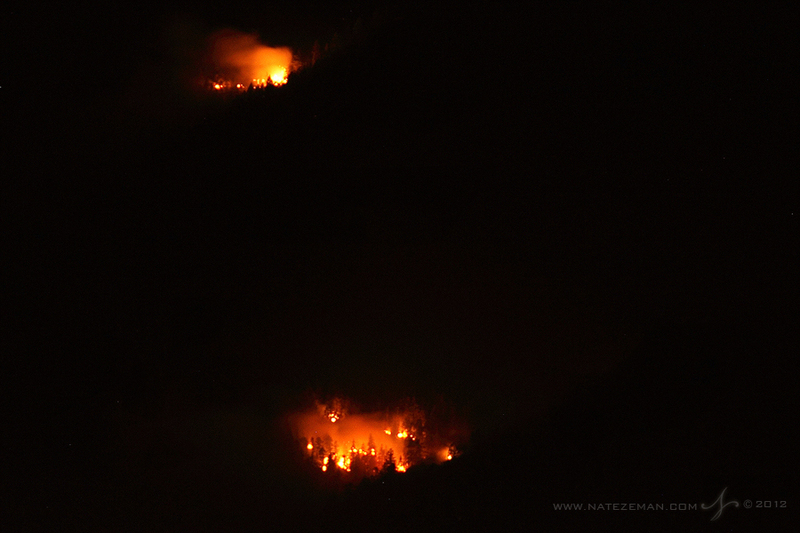 There are many currently burning throughout the state. 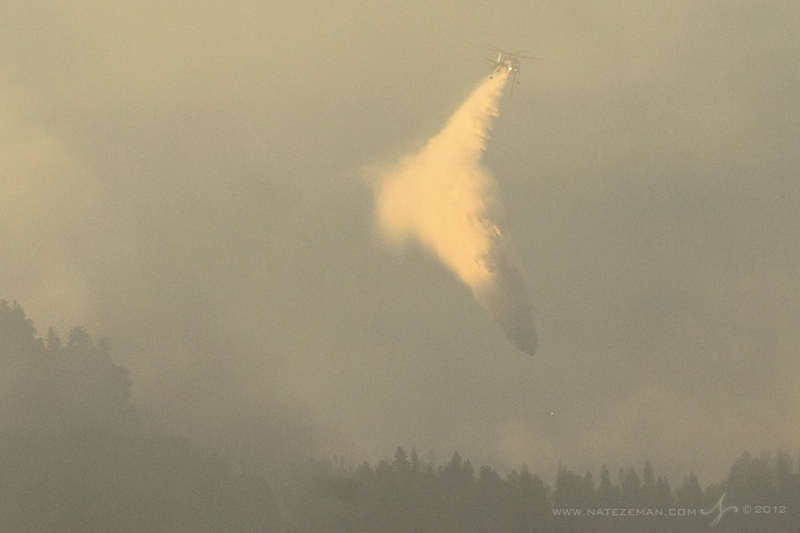 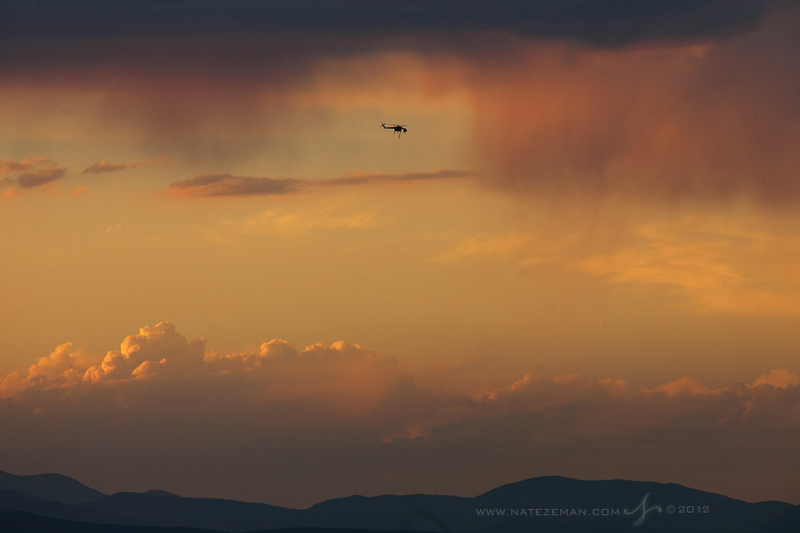 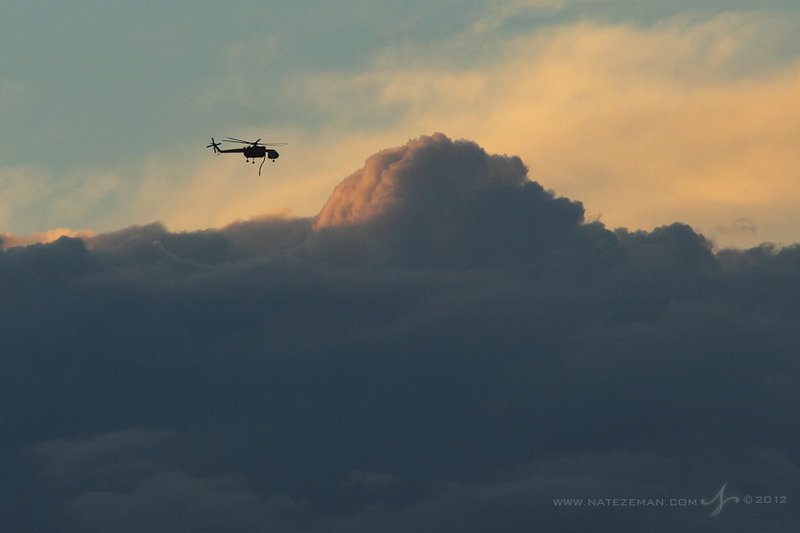 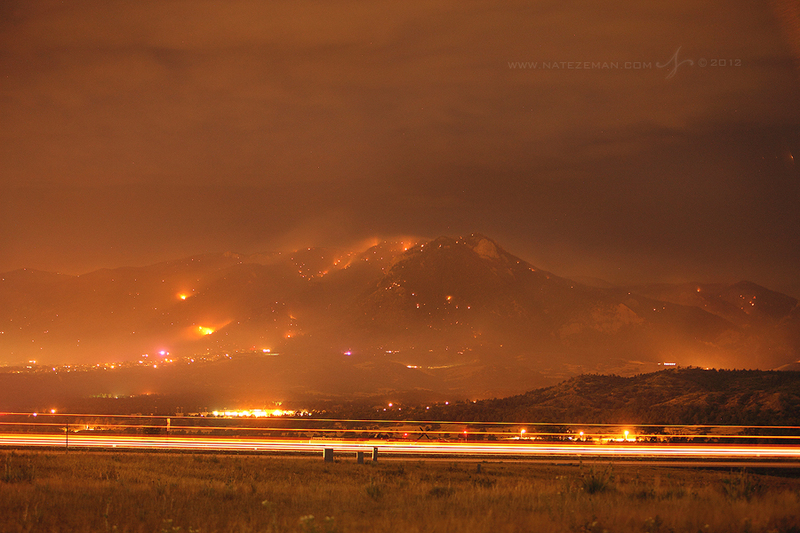 As of the time of this posting, the Waldo Canyon Fire is the most destructive fire in the history of Colorado... 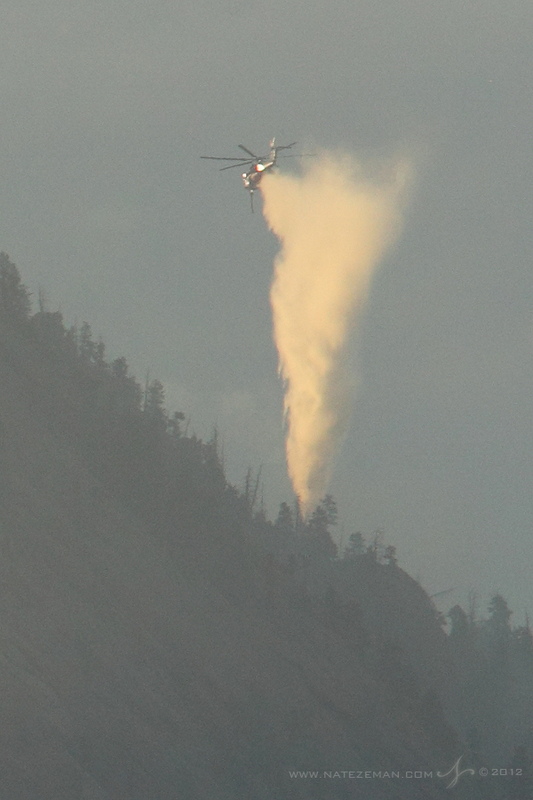 Completely wiping out entire neighborhoods. 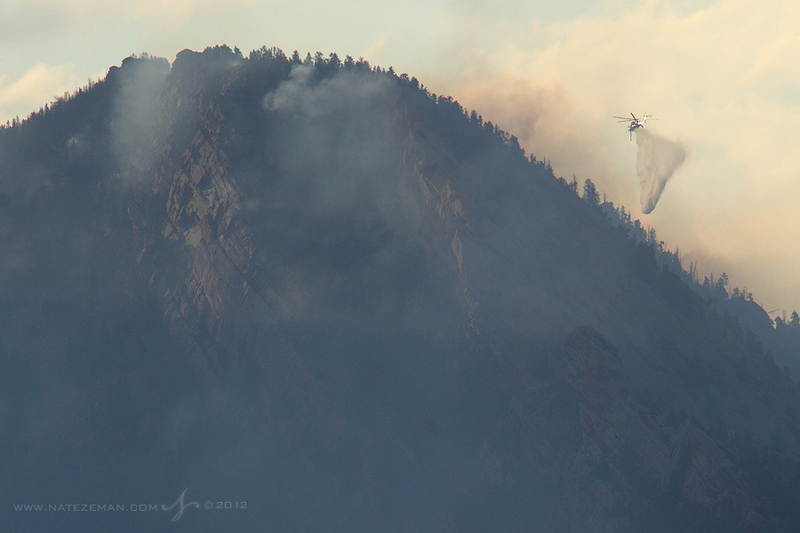 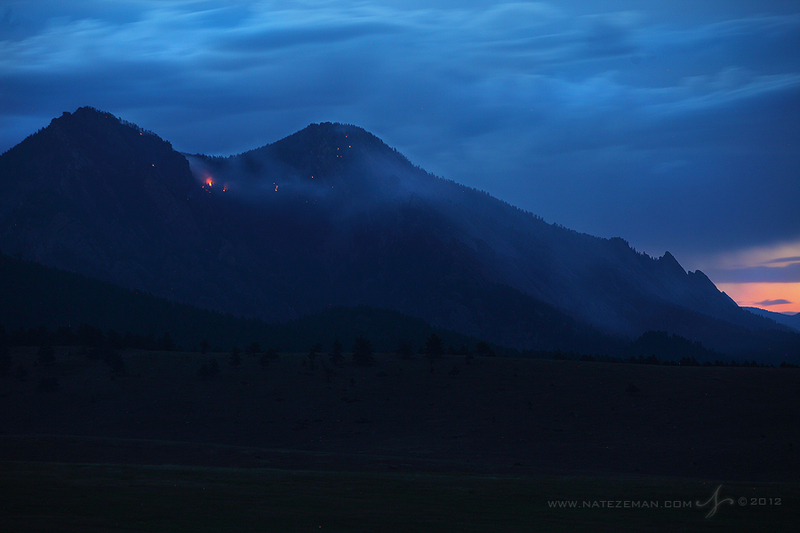 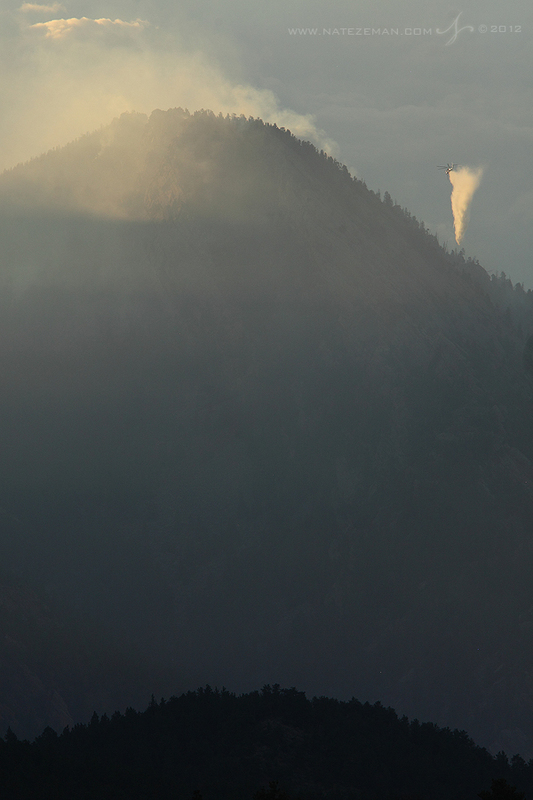 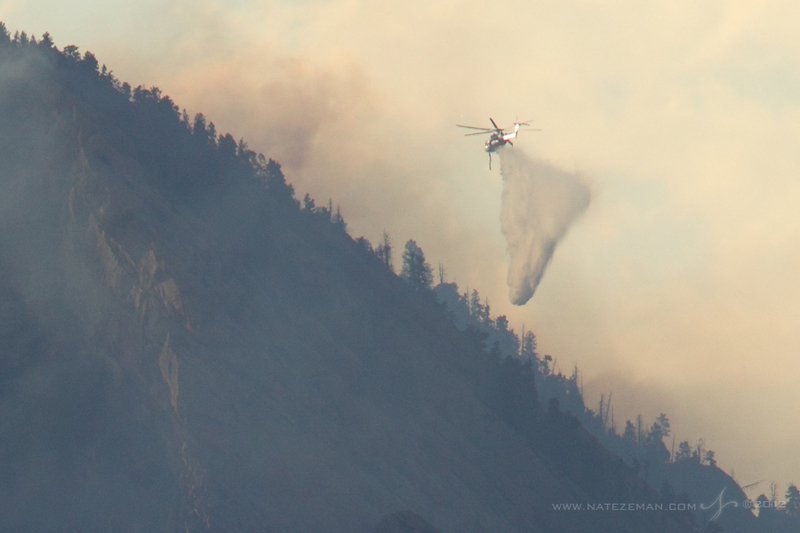 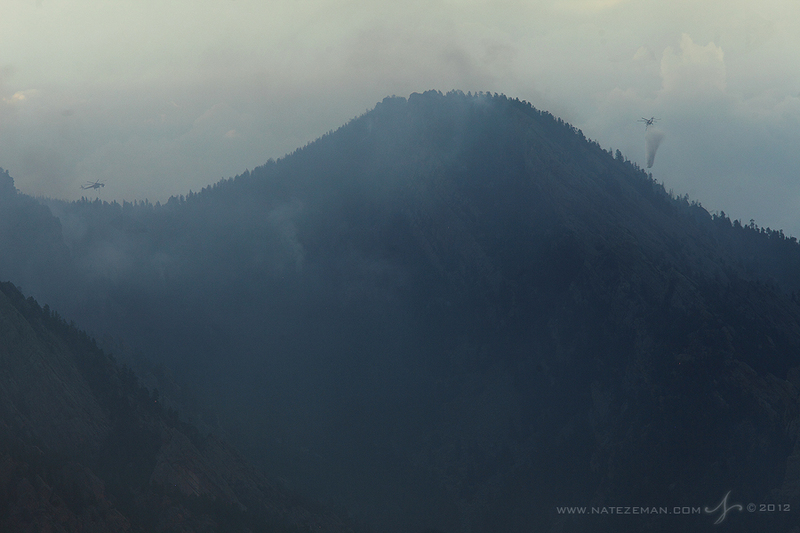 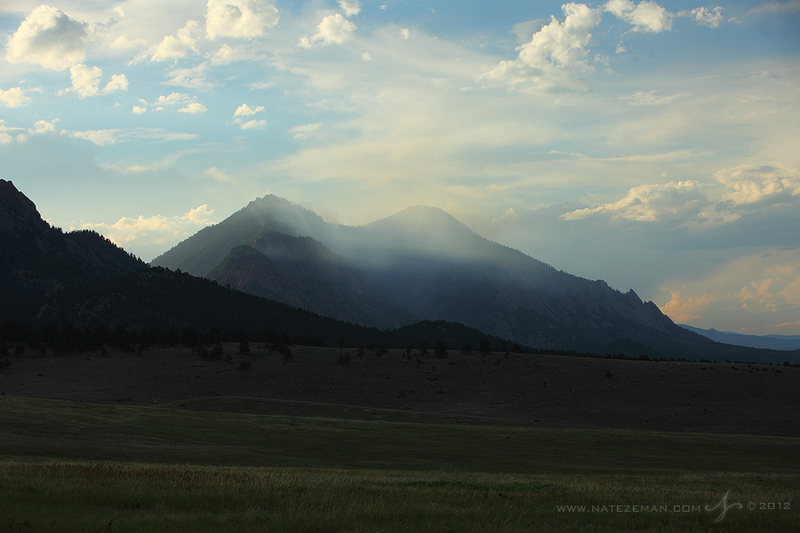 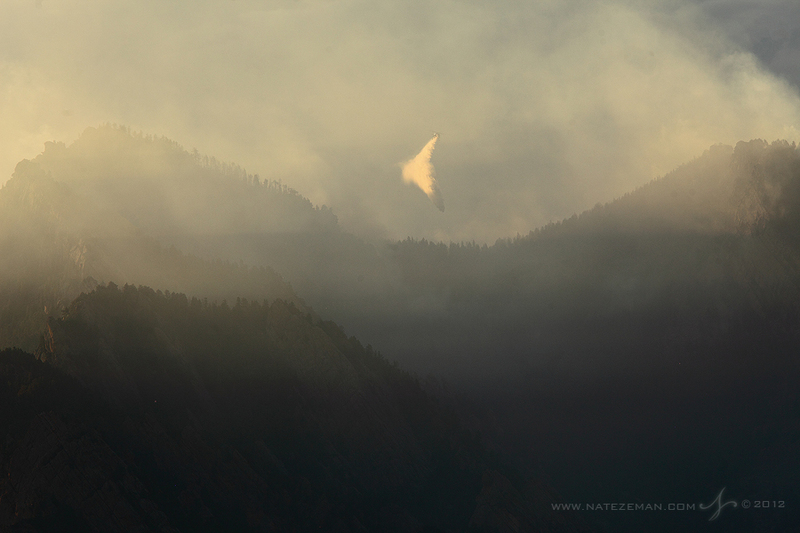 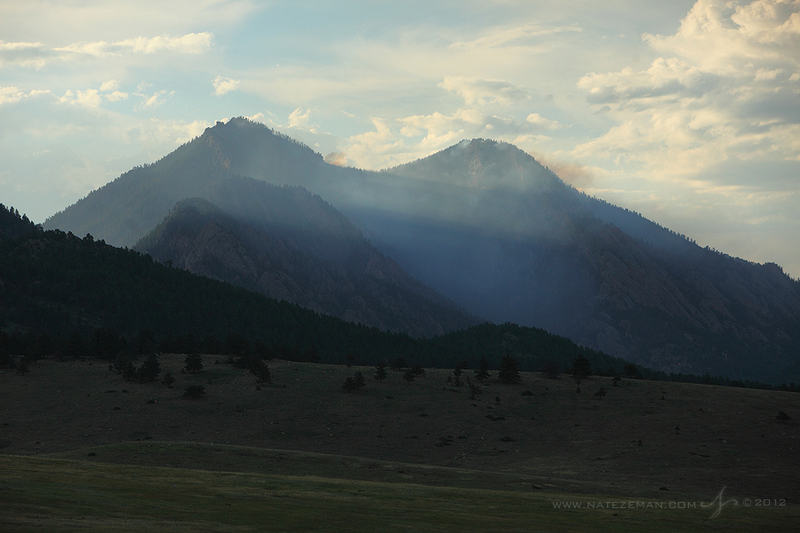 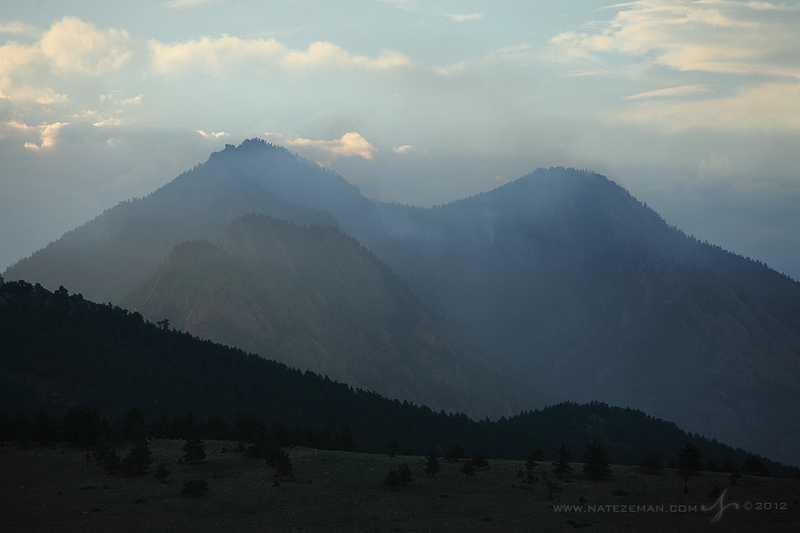 It's a frightening sight to see flames working their way towards the Iconic flatirons in Boulder, Colorado. 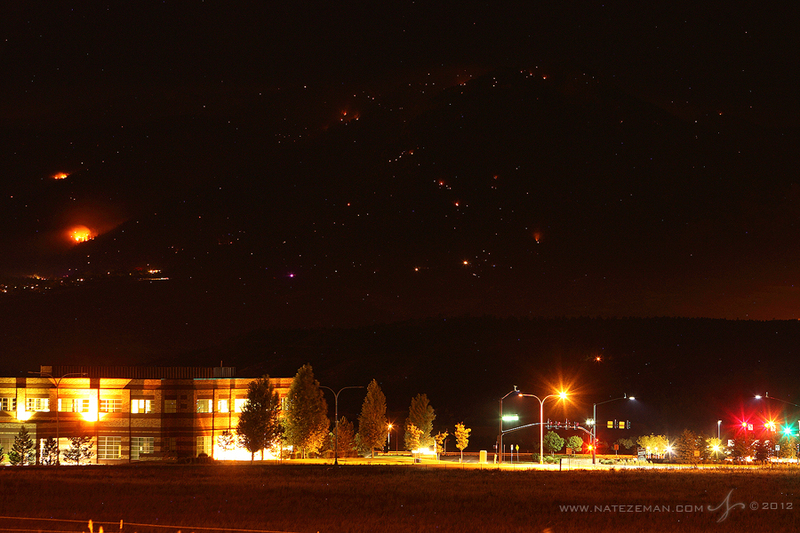 Luckily, with the amazing efforts of those fighting the flames, The Flagstaff fire will most likely burn harmlessly and not threaten the city itself. 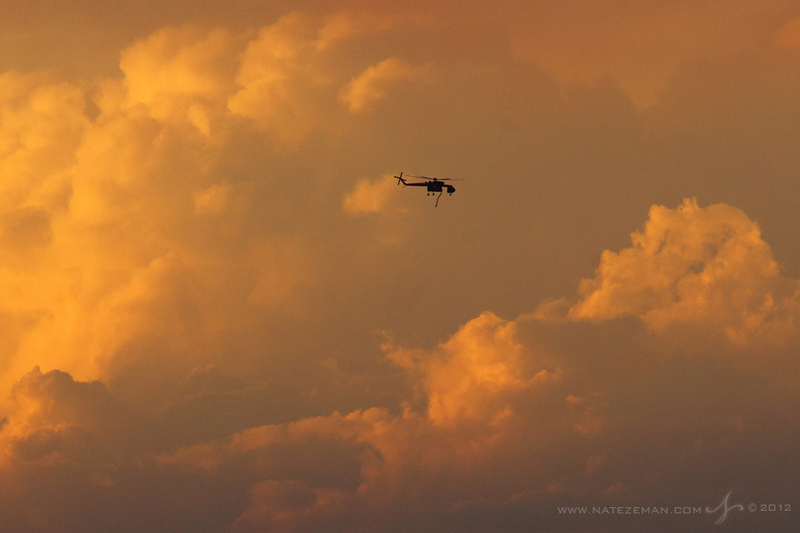 A hope just a day ago wasn't a certainty.